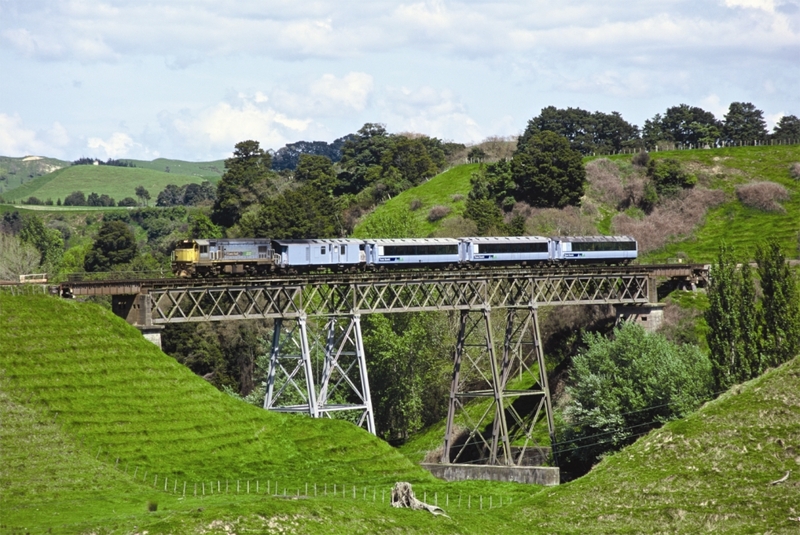 The Overlander - travelling over the Makohine Viaduct. 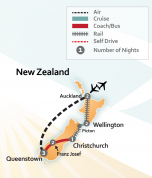 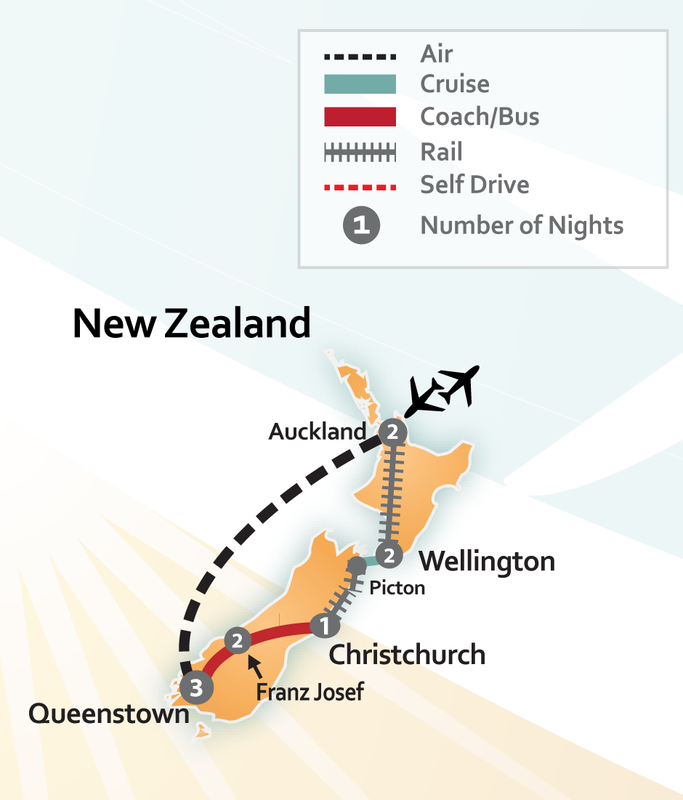 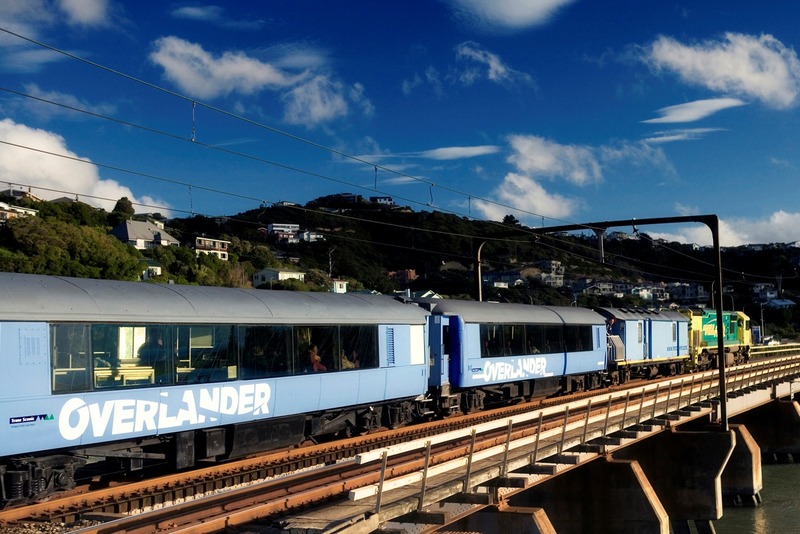 Journey through the heart of New Zealand’s north island on The Overlander which connects Wellington and Auckland. 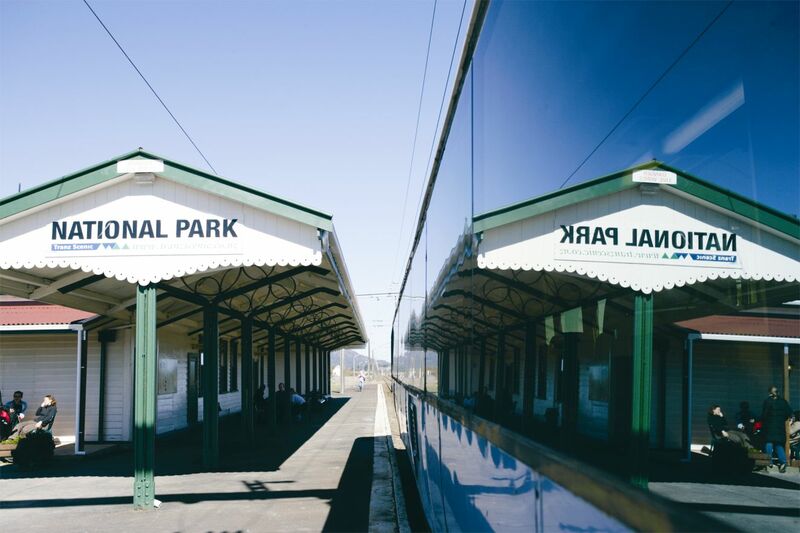 All carriages feature panoramic viewing windows that allow you to see fantastic views of the country’s farmland as well as iconic natural landmarks like the world famous Raurimu Spiral. 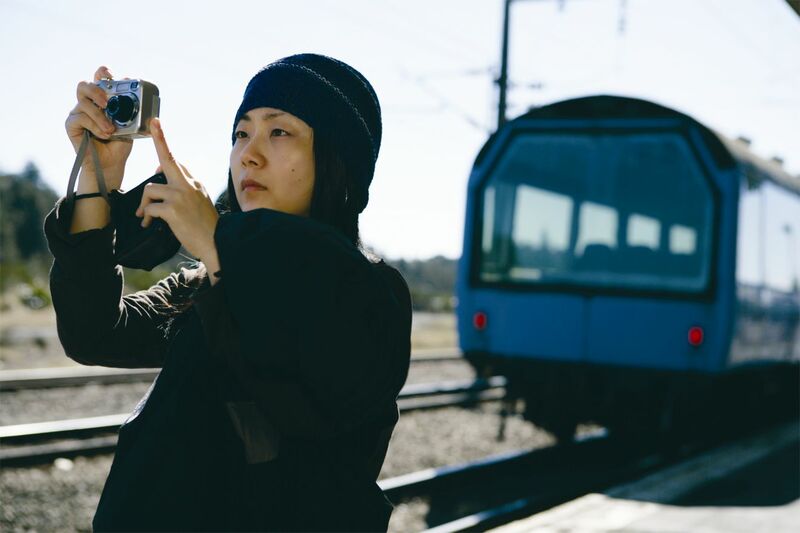 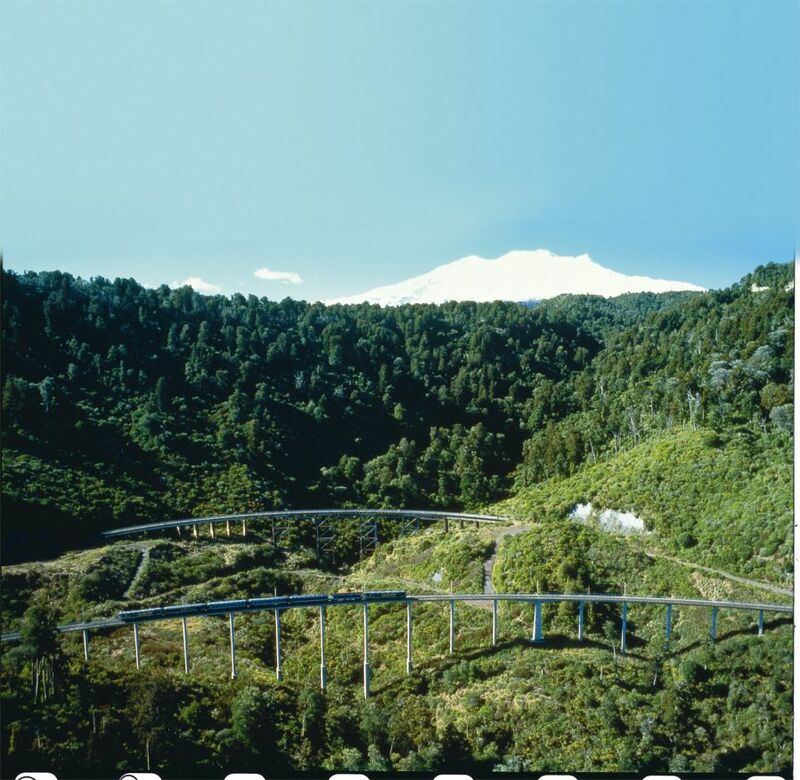 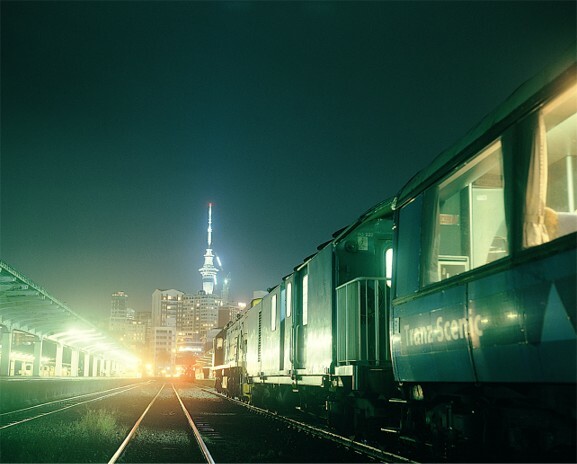 Capture a perfect photo from one of the open air decks on your train vacation, and when the snow is just right take a break from your rail journey to hit the ski slopes of National Park or Ohakune. 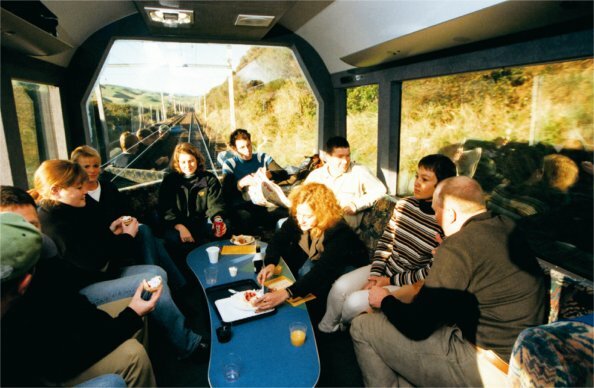 Another unique feature of The Overlander is its great lounge seating that provides a wonderful setting to meet new friends in the glass backed carriage. 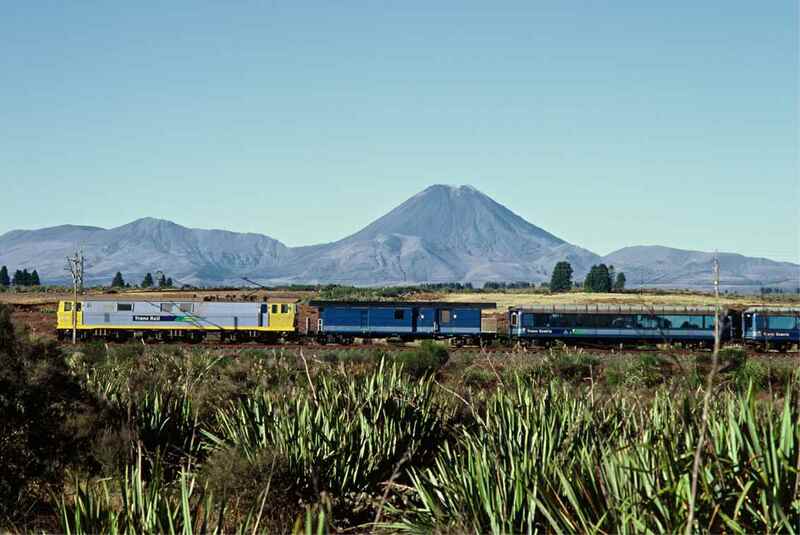 Adventure awaits you in New Zealand. 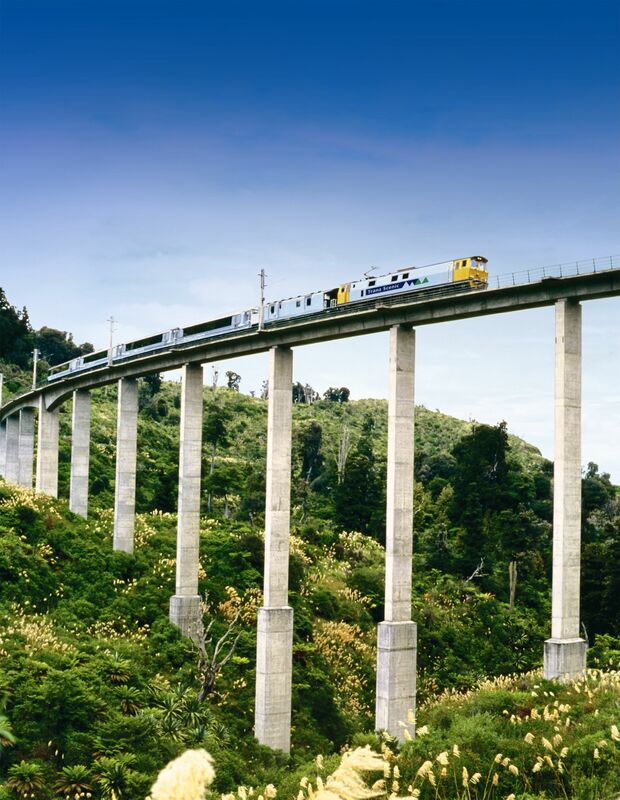 Book your Railroad Vacation with us by selecting a premade vacation package below or CLICK HERE to have one of our Travel Experts create a custom vacation package just for you.